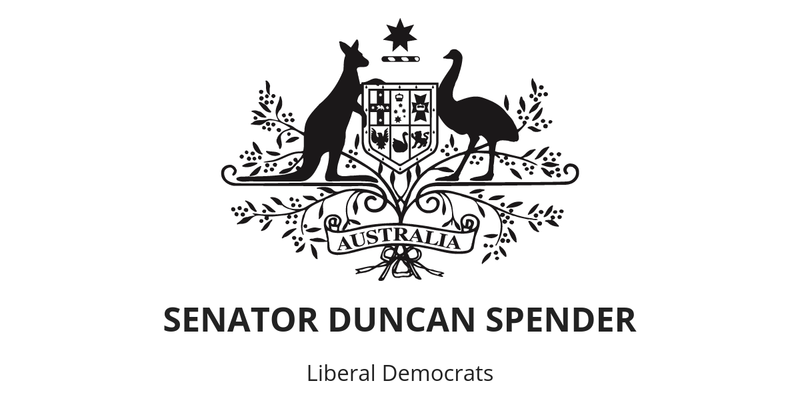 Sworn in just yesterday, Senator Duncan Spender is preparing to deliver a memorable maiden speech from 5.30pm today. He warns that his speech may ruffle a few feathers. “If my fellow Senators haven’t noticed, I am not here to make friends. I am here to represent the growing number of Australians who are fed up with the major parties spending our money like it is their own. “Complacent politicians are about to be reminded that the libertarians are still here — and we’re not letting their big spending and freedom grabbing go lightly. “Like my predecessor, I have vowed to never vote for an increase in taxation or a reduction in liberty. Coming from a party that has clear principles ensures I will be a chip off the old Leyonhjelm block; however, I also bring to the table years of experience as an economist. “I am well aware that time is against me with the federal election imminent. “My former boss has certainly catapulted the Liberal Democrats into the public eye during his two terms. My job is to ensure our message continues to be heard, both in the Chamber and out. “My speech will outline my vision for Australia and why voters should seriously consider giving me another chance to continue to represent them come election day,” he concluded. To receive an embargoed copy of the speech, contact the media advisor.